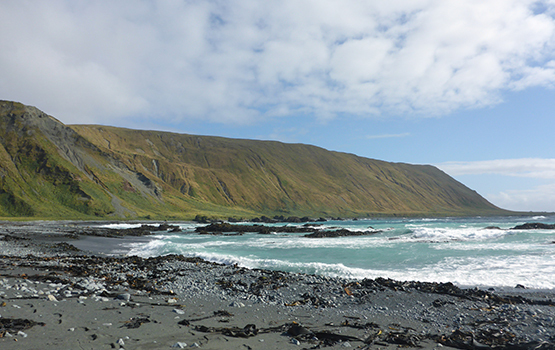 Monash researchers have delivered new findings that are a game changer for understanding the Antarctic's most biodiverse islands. Led by Rachel Leihy, a PhD student in Biological Sciences, the group has provided detailed climate surfaces for most of the Antarctic's surrounding islands. Australia is responsible for two of these islands, Heard and Macquarie, both of which are World Heritage Areas. These Southern Ocean Islands are home to globally significant populations of seabirds and house some of the world's most unusual terrestrial ecosystems. Yet they are threatened by climate change and biological invasions. For example, climate change is enabling alien species to have devastating impacts on ecosystems, including predation by mice on defenceless albatross chicks. The new findings will make biodiversity forecasting achievable for these islands for the first time. Better management will be the outcome. Ms Leihy said: "The aim of this work is to provide data to improve biodiversity forecast models which assist conservation managers with their tasks." Research group head Steven Chown said: "We have made the information freely accessible for anyone to download and use. You can find the work by looking it up via Scientific Data's homepage." Ms Leihy concluded by saying: "It's a great feeling to have provided as part of my PhD critical information that now anyone can use." This work was supported by the Australian Antarctic Program, the Antarctic Circumnavigation Expedition, and the National Research Foundation of South Africa.